Back to the Cretaceous! Because… CLIMATE CHANGE! | Watts Up With That? Peter Forbes is a science writer whose work has appeared in New Scientist, The Guardian, The Times, Scientific American and New Statesman, among others. His latest book, co-authored with Tom Grimsey, is Nanoscience: Giants of the Infinitesimal (2014). He lives in London. It is now widely accepted, by scientists at least, that human beings have become geological agents, hence the assignment of a new geological epoch: the Anthropocene. The FRACKING Anthropocene is fictional. It has not and will never be recognized as a geological epoch. How can such a distinguished science writer be so ignorant? He was editor of the Poetry Society’s Poetry Review from 1986-2002 and played a major role in the rise of the New Generation Poets. He has edited three anthologies: Scanning the Century: The Penguin Book of the Twentieth Century in Poetry (Viking, 1999), We Have Come Through (Bloodaxe, 2003) and All the Poems You Need to Say I Do (Picador, 2004). In 2001 he published a translation of Primo Levi’s The Search for Roots(Penguin Press). The Gecko’s Foot, a book on the new science of bio-inspired materials, was published by Fourth Estate in 2005 and was long-listed for the Aventis Prize. His new book, Dazzled and Deceived: Mimicry and Camouflage, published by Yale, won the Warwick Prize for Writing in 2011. He is currently Royal Literary Fund Fellow at St George’s, University of London. We aren’t even headed for a new Miocene, much less a new Cretaceous. All of the warming in HadSST3 time series is dwarfed by the noise level of the FRACKING PLEISTOCENE!!! 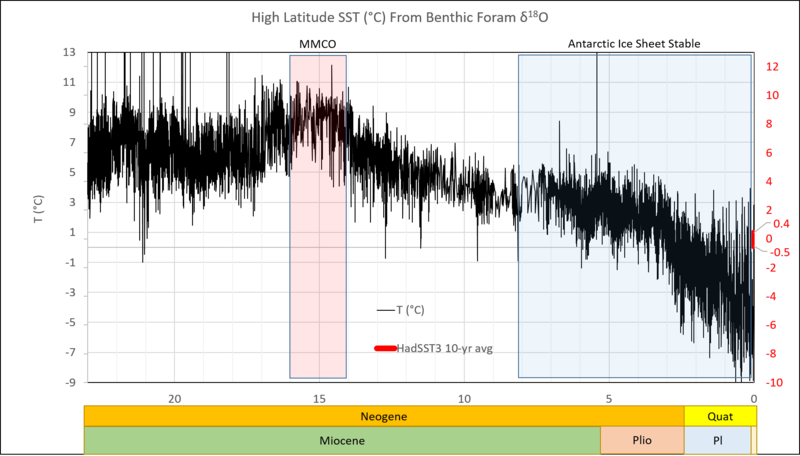 High Latitude SST (°C) From Benthic Foram δ18O (modified after Zachos, et al., 2001) and HadSST3 ( Hadley Centre / UEA CRU via www.woodfortrees.org) plotted at same scale, tied at 1950 AD. 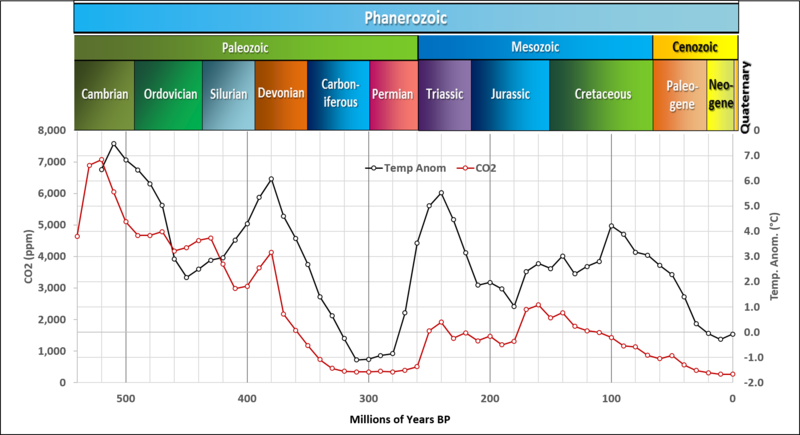 Phanerozoic temperatures and carbon dioxide. 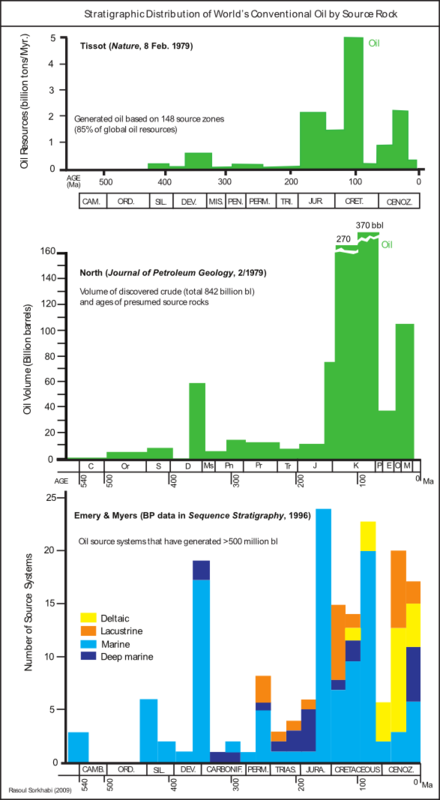 The Miocene is the first epoch of the Neogene Period (Berner et al, 2001 and Royer et al., 2004). The Cambrian through Cretaceous are drawn from Berner and Kothavala, 2001 (GEOCARB), the Tertiary is from Pagani, et al. 2006 (deep sea sediment cores), the Pleistocene is from Lüthi, et al. 2008 (EPICA C Antarctic ice core), the “Anthropocene” is from NOAA-ESRL (Mauna Loa Observatory) and the CO2 starvation is from Ward et al., 2005. Fortunately, the models are wrong… 95% wrong. They’ve been wrong since 1988 and they haven’t improved much. UAH 6.0 vs Hansen et al., 1988. Scenario C has humans un-discovering fire in 1999. 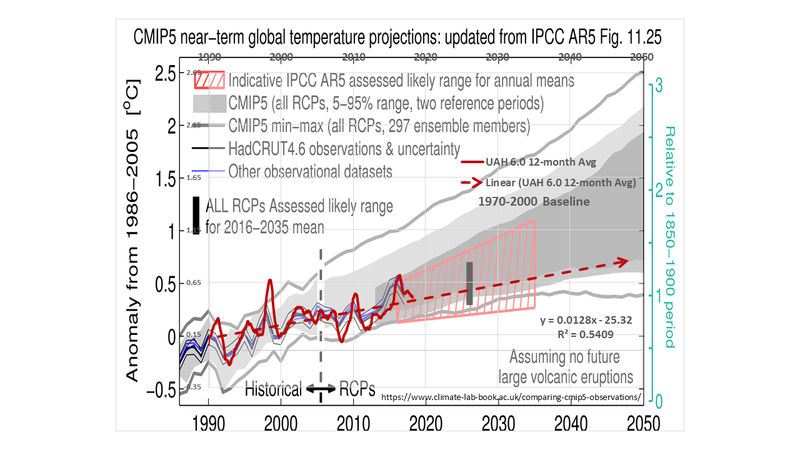 UAH vs RCP4.5 (a strong mitigation scenario) from Carbon Brief (2017). Why are the models so wrong? All other factors held equal, it would take an atmospheric CO2 concentration of 2,000 to more than 10,000 ppmv to raise the bulk temperature of the atmosphere by 3-10 °C. 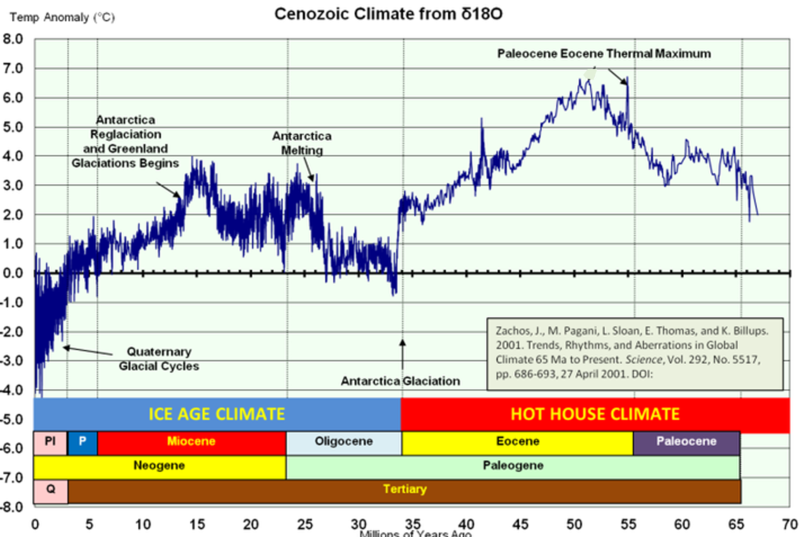 Phanerozoic temperatures and carbon dioxide. (Berner et al, 2001 and Royer et al., 2004). And that’s only if the equilibrium climate sensitivity (ECS) is actually as high as 1.28 °C per doubling of the atmospheric CO2 concentration. David Middleton has been a geologist/geophysicist in the “Climate Wrecking Industry” since 1981. His favorite geological periods are the Pliocene and Miocene because he has discovered a fair bit of oil & gas in the rocks of those two epochs. Pagani, M., J.C. Zachos, K.H. Freeman, B. Tipple, and S. Bohaty. 2005. Marked Decline in Atmospheric Carbon Dioxide Concentrations During the Paleogene. Science, Vol. 309, pp. 600-603, 22 July 2005. Ward, J.K., Harris, J.M., Cerling, T.E., Wiedenhoeft, A., Lott, M.J., Dearing, M.-D., Coltrain, J.B. and Ehleringer, J.R. 2005. 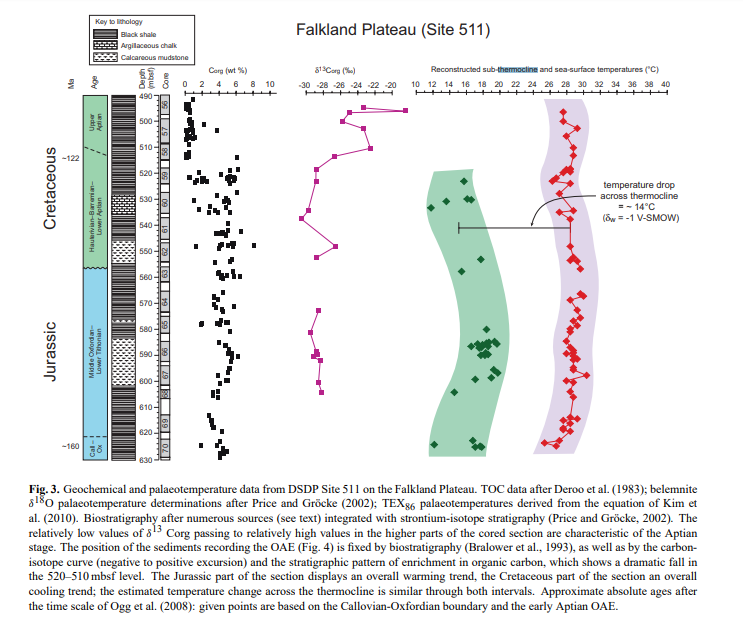 Carbon starvation in glacial trees recovered from the La Brea tar pits, southern California. Proceedings of the National Academy of Sciences, USA102: 690-694. Does this guy drink straight from the fluoridation source? I think this guy demonstrates at least the cognitive problems even without the high CO2 concentrations. Perhaps its the Kool-Aid he’s been drinking. He may refer to the high CO2 concentration that comes with certain alcoholic beverages. If so then he is correct although I can’t be sure as I just had a very nice pint. There are no known biological effects at CO2 concentrations below 10,000 ppm (1%) in breathing air. Humans easily tolerate concentrations several times that level, and CO2 toxicitiy only starts to kick in at about 5%, or 50,000 ppm. Typical indoor breathing air concentrations are around 600 ppm – not due to anything but normal breathing by humans and animals indoors. The effects of elevated CO2 concentrations in breathing air on humans is extremely well understood. This writer is no scientist. In submarines, 5,000 ppm CO2 is permitted. We hope the crew is fully aware. Perhaps. Maybe he just evolved in the cretinaceous period or just suffered brain damage from being hit with a hockey schtick. Its very hard to tell. My view is that it’s a conspiracy of plants. It’s all THEIR fault. THEY fooled us into raising CO2 levels so that THEY could crowd US out and just have birds and emus and moose around instead. I’m going to write up a book about it and stomp my petulant foot over it. Yes, I know that emus are birds. Theatricality is imperative with people like Forbes. They tend to miss what’s right under their noses, unless there is money involved. This guy must have heard Jeff Goldblum’s idiotic rant in the last Jurassic Park flick. The irony here is that the Cretaceous was a healthy enough biosphere to support fifty ton-plus animals – our current conditions are actually rather arid. “As it happens, the Cretaceous is one of my favourite geological periods. It gave us the great chalk hills and cliffs that straddle Europe. It gave us figs, plane trees and magnolias. It nurtured little mammals, who suddenly blossomed when the then-lords of creation – Triceratops, Tyrannosaurus and their cousins – went extinct at the end of the period. It was also very warm, with global temperatures 3-10°C hotter than preindustrial levels. They had an industrial period back then. Blimey, who would have thunk?! They had to have some sort of “industry”… That’s when they laid down most of the petroleum source rocks. Don’t tell the alarmists, they’ll doubtless sue them for sequestering CO2 in the form of oil even back then. Calm down, David! You’re going to frack yourself! Actually you don’t need togo back to the Cretaceous, you can visit the River Pulmari Valley in Neuquen Province, Argentina. Paleontologists say is has a carry-over of 60% of the vegetation from the Cretaceous. If you want to freak yourself out (different from fracking yourself) first vist the Carmen Funes Dinosaur museum in Cutral Co, Neuquen and see the worlds largest dinosaur on display. When you walk through the Pulmari it is easy to imagine a dinosaur stepping our from behind a giant fern! You’ve discovered the great secret: the dinosaurs had technology: our oil and gas is from their climate crisis when they had to sequester most of the atmospheric CO2! The pathetic part of it is that what we are “headed for” if anything is another Permian. The last time the planet was this cold and the atmosphere this poor in CO2 was 250,000,000 years ago. Which present the Geocarb III multiproxie model of Phanerozoic atmospheric CO2, and really doesn’t show any moderation of climate by CO2. If anything it seems best modeled as CO2 primarily moderated by biological agents followed by geological agents. … That’s when they laid down most of the petroleum source rocks. The Cretaceous was just the most prolific source rock period. Source rocks occur from the Cambrian all the way up to the Miocene. INVESTIGATION OF CRETACEOUS AND TERTIARY KEROGENS IN SEDIMENTS OF THE WEDDELL SEA: Total organic carbon (TOC) averaged 10% by weight. David: Petrochemical organic synthesis was such an amazing feat of nature. Wasn’t the TOC matter that became oil/natural gas/NGL once largely chlorophyll bearing blue green bacteria or algae in oceans and inland seas becoming sediment and preserved under anoxic conditions on the sea bottom? Intact chlorophyll has a lengthy Hydrocarbon side chain off a aromatic ring structure which under heat and pressure of geologic processes breaks the side chain into varying lengths of hydrocarbon chains, benezene rings, paraffins and methane and ultimately encased in what became source rock. Looking at a map of the continental US shale beds that have produced oil, natural gas and natural gas liquids with fracking and horizontal drilling the source rock of these basins lie within the boundaries of what was once a huge inland sea that ran from the Hudson Bay to the Gulf of Mexico. This Inland sea existed about 250 MYA, was slowly drained by the Tectonic plate lift under North American plate that gave rise to the Rockies; the OTC sediment being buried in multiple layers over 200 My under the erosion from those once majestic peaks, capped in places with limestone and gypsum. Pardon my amateurish over simplification. However the irrational hatred of our Leftist friends for oil and natural gas like Tom Steyer et al makes it rather difficult for them to accept the origin of these fossil fuels was chlorophyll, the greenest of all things. Makes me smile. A very good simplified summary… I like to think of oil as super-concentrated solar power. The entire process from how oil is formed, how it is trapped and how we explore for it and produce it… is kind of mind-blowing. The fact that we can bounce seismic waves off rock layers 10’s of thousands of feet below the surface, record a sequence of numbers and translate that into a detailed three-dimensional image of the Earth’s crust… and even derive details about stratigraphy and fluid content from those numbers… is one of the best examples of “The Unreasonable Effectiveness of Mathematics” that I can think of. And they try to say Einstein was an atheist. That’s a bit different to Einstein’s known distrust of maths, even when wielding Riemann’s maths expertly. The real question is what is that biospheric “industry”, activity, producing these very useful products? We are then out of maths into physics, as Riemann said. Perhaps we should refer to gas stations as chlorophylling stations. Einstein called himself an agnostic, ie “religious nonbeliever”, rather than atheist. When he spoke of “God’s” not playing dice with the universe, he was being figurative. He associated himself with humanist groups. Einstein believed in Spinoza’s pantheistic God. He didn’t believe in a personal God Who concerns Himself with the destinies and actions of humans, which faith he described as naive. Nor did he believe in life after death, as “one life is enough for me”. A friend and I found a seam of black marine shale as you call it full of clam and bone fossils, just above a coal seam in west central Colorado at 10K feet this past summer. I found a cluster of a dozen shells that must have washed into the same hole together, pre-fossilization. Being so much warmer, the Cretaceous was less stormy than the Pleistocene. CO2 was some five times higher than now, but that’s not was caused the warmth. The CO2 was an effect, not a cause. A big part of the heat was thanks to such active volcanic activity, with the breakup of Pangaea, especially at mid-ocean ridges. The continents were rapidly moving apart, “drifting” into their present positions. 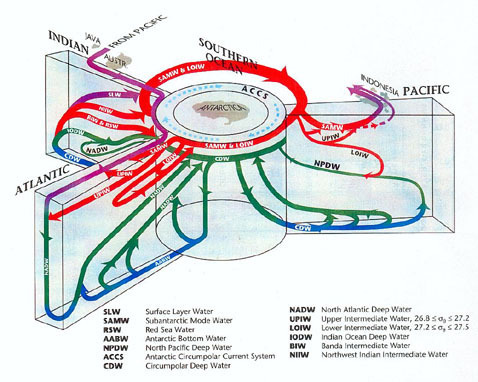 Water was able to circulate clear around the tropics, thanks to the Americas’ being separate and Africa and India not yet connected to Asia. Thermal expansion of the oceans, and displacement of water by submarine mountain ranges, lifted seawater onto the continents, drowning their low-lying areas, such that a seaway connected the Gulf of Mexico with the Arctic Ocean. It was prowled by giant marine reptiles. Some think that shallow seas were hot tub temperature, under often cloudless skies. The extreme events of the Cretaceous weren’t weather, but volcanoes and, at the end, the high-speed impact of a ten-kilometer space rock. 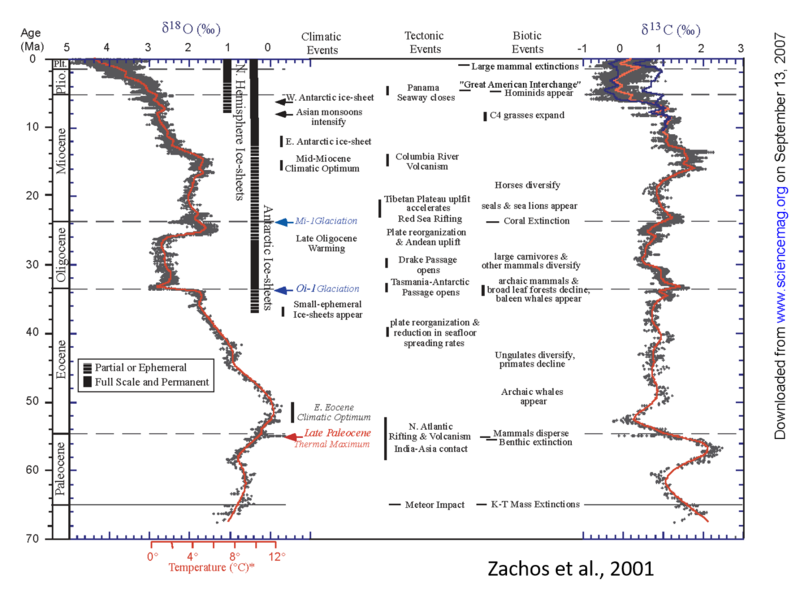 The high CO2 of the period doesn’t explain mid-Cretaceous heat. To explain it that way requires absurdly high ECS. I don’t believe that those high CO2 concentrations and higher temperatures caused any sort of tipping points–run away green house conditions nor did it boil away the oceans. Just a short look at geologic history confirms the wishful thinking that the cagw “predictions” are. If it didn’t happen then, It won’t happen now. Correct, as should be obvious to “climate scientists”, were they actually scientists practicing the scientific method, rather than advocates. In the hot mid-Cretaceous, 110 Ma, the sun was only one percent weaker than now. Geology doesn’t care whether you believe in it or not. All it cares about is the scientific consensus. You can keep chuckling, or you can look out your window. The signs are all around us. We’ve entered a fundamentally novel epoch in which, for the first time, our imbecility literally controls the Earth’s blogosphere. The Cretinous has begun. It began at least a couple weeks ago. This is no longer a topic of debate. Real scientists—which is where real debate takes place—have now moved on from Is it happening? to How fast? How dumb? How long do we have left? Unfortunately for you and the human race, we real scientists don’t make predictions. We project cretinousness, we don’t predict it. So you should probably stick to your area of competence and let us get on with solving Grownup Problems. Further comments from you will merely serve to show why rocket science (while perfectly respectable in its own small way I suppose) is no climate science. 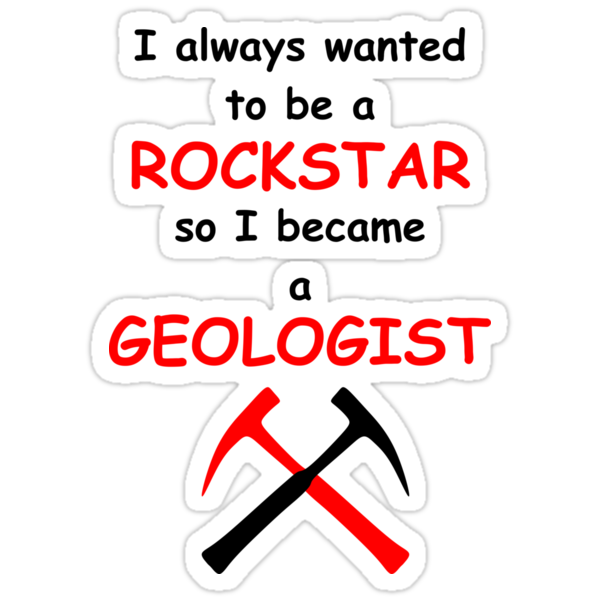 Oh but you’re the rockscientist. No… I’m a rock scientist. Can I interest you in a one way ticket to Mars? It isnt too hot on Mars. In fact the maximum never gets higher than 35C. The minimums are very cold however with the mean temp at -63C. A couple good parkas should do. Unfortunately you will have to manufacture your own oxygen because there is only 0.146% in it’s atmosphere. Most of it is CO2 96%. Because the surface gravity is only 38% of earth’s, you should be able to set high jump records. The back radiation effect doesn’t seem to work on Mars, so we are counting on you to investigate this and report back. Since you have given up on earth, this should be a great opportunity for you and your descendants to make a new life for yourselves. If you choose to accept I am sure we can convince Elon Musk to fund the ticket for his 1st journey that he plans. However I don’t think that Elon himself will be going. Maybe we should draw up a worldwide list of who wants to go. You can be the 1st one on the waiting list. Unfortunately you will have to manufacture your own oxygen because there is only 0.146% in it’s atmosphere. But…. But that’s 1,460 ppm. That’s loads, surely!? why should I be the one who has to vacate the planet? Everyone else should be the one. Not me. I didn’t start the fire, it was always burning since the something spurning [inaudible], as I once failed to hear Billy Joel saying. Let’s give discredit where discredit is due: firmly at the feet of the pollutocratic Plutocrites whose venereal saturnalia exhausted Gaia’s mercurial generosity in the first place. I’ve striven to live sustainably at all times. I ALWAYS take one breath in for every breath out. I ALWAYS offset my international air travel (and believe me, I fly a HECK of a lot) by purchasing a return ticket. And you want to boot ME off the dead planet you and your great-grandchildren killed? And some (not Eli to be sure) dare call this justice?! It’s not justice. It’s not even climate justice. I actually know what I’m talking about, unlike the hapless hordes you’re probably used to vanquishing. Before switching my specialization from exoplanets to ex-planets, I did my PhD thesis on Pluto. Which wasn’t easy, I assure you. Ink just doesn’t seem to want to dry in that atmosphere (and without going into details, woe betide him who forgets to pack a paperweight). But reality doesn’t care what you hope, or wish, or devoutly desire. I’m either being ironic or I’m not, and—if my words are to be believed—it would appear that I’m being dead serious, wouldn’t it? But buds don’t care what you hope, or wish, or devoutly desire. They either germinate and flourish or they wilt and die. Nobody has the power to change the course of botany one bit, with the obvious exception of mankind, whose spewing of plant poison (or CO2, as we scientific literates call it) will have completely unknown effects—effects we know will be bad, because uncertainty is not our friend, and is unlikely to accept our Friend request any time soon. If it seems like I’m repaying your amiability with jaw-droppingly unnecessary nastiness, remember (Oreskes18, unpublished correspondence) that politeness and pleasantness are well-known skeptic strategies (Lewandowsky, private conversation) to make people on the science side look churlish. Well, I’m not falling for it. PS Adopting the nym of a good mate of mine and thoroughly decent bloke is unlikely to engender my trust, “Michael Kelly,” or should that be Michael von Kelly? On the other hand if your intent is merely to score cheap points with the peanut gallery by confirming their prejudices about certain deeply unlikeable traits endemic to my side (and by side, I mean science, because there are no two sides to this, only science versus skepticism) then well done. Mission accomplished. It’s a pity, because when I started typing this comment I was naive enough to think respectful dialogue might still be possible between those of us who went to university and [at least some of] the more reasonable evidence-rejectors and illiterati. But as my remarks have demonstrated, that’s just not possible without good faith. So enjoy making me look like a pompous @sshole while you can. Meanwhile, the ice still melts. Ice never melted when I was a kid. Enjoy laughing at David Viner while you can. He’s right but. Kids in the future just aren’t going to know what “bioclimatic envelope robustness” means. It seems one must have gone to university to know anything. Personally, I didn’t go to university and yet, my democratic government trusts me with a single vote, no more than a graduate has, thankfully. It’s such a shame some graduates retain such a high opinion of themselves, one frequently misplaced. Like it or not mate, as one of the educated ‘elite’ it’s your responsibility to advocate for the uneducated masses i.e. me. It’s your job to convey science in a clear, unambiguous manner to the common man however, judging by the climate debate you are failing miserably in your task. If you can’t convince me, an ill educated oaf, you might want to surrender your cherished qualifications because you are abjectly failing at your job. Well, Brad Keyes, were your irony inadvertant, and did you suppose the so-called consensus about global warming is based in science, then you’re revealed as unable to distinguish science from pseudo-science. Anyone who has a degree and works doing some sort of science and is also ignorant of the quality that defines science from everything else, is a mere technical hack. 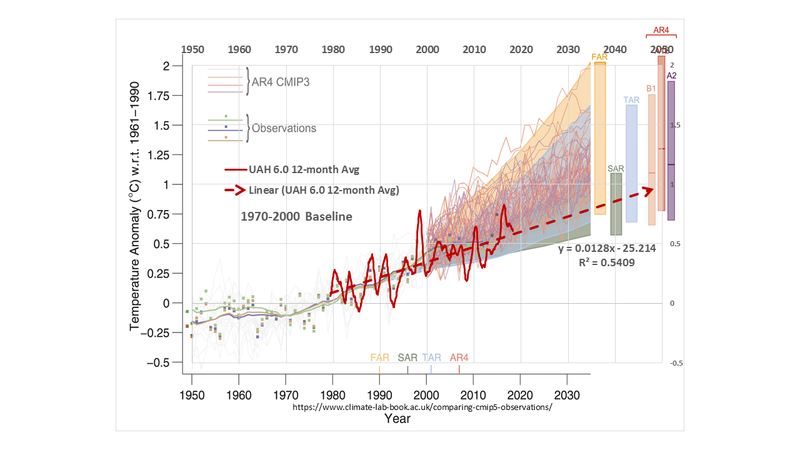 Climate modeling is a liberal art decorated with mathematics. It’s not science. 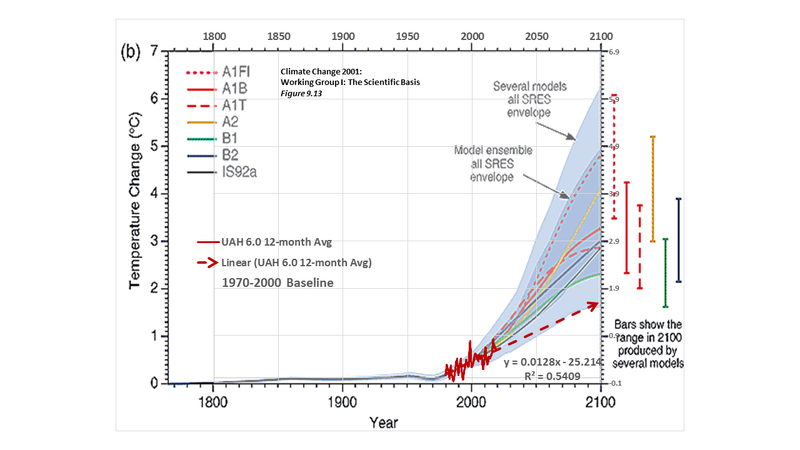 Climate models have nothing to tell us about the workings of the climate or about future air temperatures. One can only hope that Brad Keyes’ irony is advertent. “The Cretinous has begun. It began at least a couple weeks ago.” – ?! More like the beginning of the end of the period of the Troll. The Troll. cretinous, anthropocene, pretendocene? It’s good to see you back again, Brad Keyes. Keep provoking the humour-challenged contingent! Brad, it is so good to see you back in action! I really missed you, bud, and hope that you are flourishing! I did look out my window. 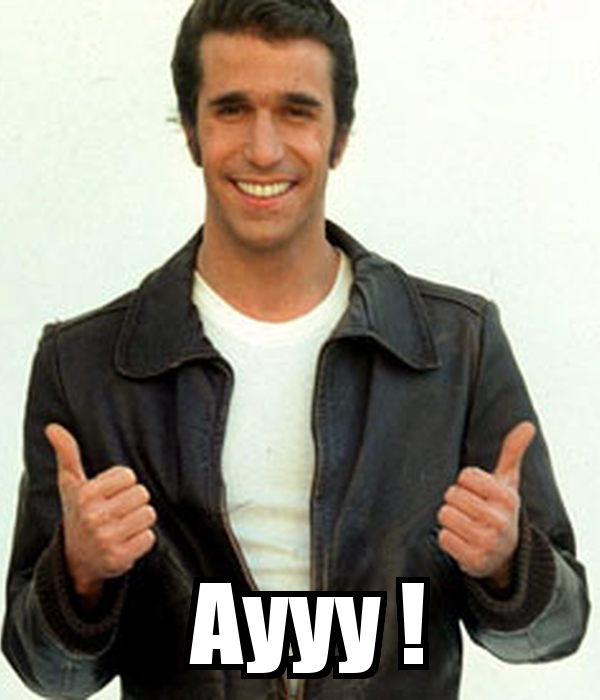 It’s snowing, in October. I know, right! If it weren’t for global warming, it wouldn’t be snowing. It’s just as predicted. In other news, I’m getting a long, long, extra long ( miles and miles) extension cord to run my car, like the electric lawn mower. “……..when CO2 levels reached over 1,000 ppm. What might that mean, given that we already achieve such levels of CO2 in bedrooms at night and in poorly ventilated crowded places, and when we know that, under sustained conditions of such high carbon-dioxide concentration, people suffer severe cognitive problems? 8 hours a night sleeping like a baby with the only cognitive impairment being my wife kicking me for snoring, and me ignoring her. Nuclear sub mariners manage rather well with CO2 levels up to 6,000 ppm. If they suffer cognitive impairment at levels above 1,000 ppm we’re all in deep doo doo! Cognitive impairment is usually associated with a lack of oxygen isn’t it? Indeed, my understanding is combat pilots are subjected to just that so they recognise the signs if it does happen to them. I think this muppet needs some oxygen. I am wordless facing this. Luckily we have Brad Keyes, who’s not. I won’t be seeing 2100, so there is little chance for me saying “I told ya!”, but the wild non sequitur here suggests the author doesn’t know much about the difference between 0.1% and 1%. “Data collected on nine nuclear-powered ballistic missile submarines indicate an average CO2 concentration of 3,500 ppm with a range of 0-10,600 ppm, and data collected on 10 nuclear-powered attack submarines indicate an average CO2 concentration of 4,100 ppm with a range of 300-11,300 ppm,” according to a 2007 National Research Council report on exposure issues facing submarine crews. So I guess everyone in the military onboard Submarine Duty must, by extension, be blithering idiots incapable of even finding their own a$$e$ to wipe. Much better than my feeble attempt. Thanks. Thirty thousand ppm means that, out of a million air molecules, ~23,400 N2 and ~6300 02 molecules would be replaced by CO2. Hence, oxygen concentration would be lowered from ~210,000 to ~203,700 per million air molecules. You provide a link to a report on research claiming adverse effects from slightly higher CO2 levels. Then you provided what is presented as a quote about research showing very different results from much higher concentrations of CO2— but no reference to where the information supposedly comes from. Why should we believe there actually was such research or such results? My current thought is what, oh what, will WUWT regular writers have to write about, if climate alarmist stupidity goes away, since the blog seems to have become, more and more, a platform for displaying and criticizing this stupidity? Who knew stupidity could be so entertaining? Of all the geologic periods, my favorite is the crustaceous. Because of all the lobsters. And not because of the mouth-watering outer skin of newly-baked bread? The first approximation to a planet’s surface temperature is given by the density of the atmosphere. A denser atmosphere raises the temperature at which the surface air becomes buoyant enough to rise and create convection. That removes heat from the surface more rapidly. It is a tipping point so beloved of the warmists. The other big deal was that the continents were configured differently. It was not until the closure of the Panama Seaway that the ice ages became possible. Anyone who thinks the Cretaceous climate has anything to tell us about the modern world is living in cloud cuckoo land. IMO, air pressure wasn’t much higher during the Cretaceous than now. 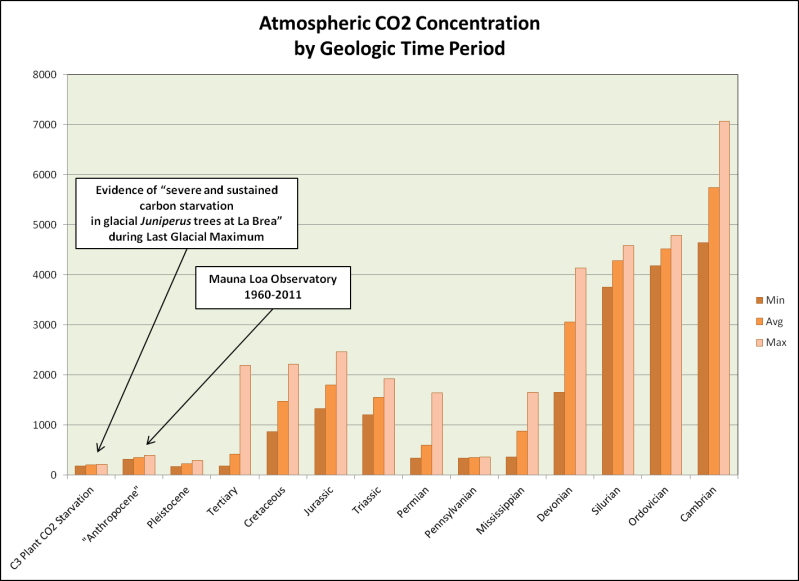 02 level was around 30%, rather than 21%, and CO2 averaged some 1700 ppm v. 400. So dry air might have been as much as 10% denser, assuming constant N2, Ar, etc. Aerodynamic experiments show that pterosaurs could fly in our own O2- and CO2-depleted atmosphere. Ice sheets built up in the Northern Hemisphere after the Isthmus of Panama formed around 3 Ma, but of course had existed on Antarctica for over 30 million years at that time. There was also probably some ice on Greenland in the Pliocene. Models based upon seabirds gave misleading results. There is also a range of weight estimates for the largest pterosaurs, the Late Cretaceous azhdarchids. Controversy remains over their take-off method, but Dr. Habib thinks he’s solved that problem. Every detail of their anatomy, such as their brains, ie the flight control hardware and software, show that they flew. A perhaps 10% denser atmosphere might have helped, with more O2, but even the biggest probably could have flown in today’s air. This analysis is exhaustive. It seems reasonable to me that Quetzalcoatlus had a reasonable body mass and not the seven times too light as postulated by some paleontologists. In that light, it is pretty much impossible that they flew without a considerably denser atmosphere. Sorry, but David Esker’s hypothesis is the opposite of exhaustive. You don’t need to posit denser air to explain dinosaur anatomy or pterosaus flight. Mass estimates for the biggest azhdarchids have ranged from 150 to 550 pounds. No comparable creatures exist today with which to make valid comparisons. The heaviest known flying bird was the Late Miocene Argentavis, at an estimated 160 pounds, based upon comparison with its living condor relatives. But pterosaurs differ in important ways from birds. The links I provided show why Esker is so far off base. By comparison, pedal-powered aircraft Gossamer Albatross all up weighed 215 pounds, with pilot/power source. Its wingspan is 34 ft, as opposed to best guess of Quetzalcoatlus’ at 36 to 39 feet. What might have been materially different about the Cretaceous atmosphere could have been more powerful and earlier updrafts. There is also the issue of what gases could have made Cretaceous air denser. There’s a limit to O2, which was reached in the Carboniferous, at 35%. More than that, and the air is too flammable. If N2 were elevated, how did that occur, and what happened to all that extra nitrogen? CO2 was under 2000 ppm, so that doesn’t do it. Maybe more sulfur compounds from increased volcanism, but again, not enough make air substantially denser for the whole period, and indeed for the Jurassic, in which dinosaurs first achieved gigantic size. This is a case in which the geological and paleontological consensus is well supported, unlike CACA in “climate science”. As you may know, famed aeronautical engineer Paul McCready, after winning Kremer Prizes and the Collier Trophy with Gossamer Albatross and Condor, was hired by the Smithsonian to build a half-scale model of Quetzalcoatlus, which flew successfully many times before crashing due to failure of its radio control link. An Institution workshop in 1984 had shown the pterosaur project feasible. To model a large Quetzalcoatlus, imagine Gossamer Albatross with up to five feet more wingspan and a second bicycle racer/co-pilot, for an all up weight around 450#. I presume that atmosphere is being lost to space all the time, just like it is on Mars. Was the Earth’s atmosphere also denser millions of years ago, simply because the atmosphere was deeper?? The Earth’s magnetic field protects it’s atmosphere from being eroded by the solar wind. This link posits 90 tonnes per day loss. 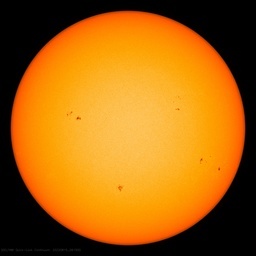 The thing is that it depends on solar activity and is variable. The other thing is that processes like meteor showers can remove a lot of atmosphere. Being very confident about how the Earth was tens of millions of years ago probably isn’t warranted. I’m not very confident. I just go with the evidence, which says that at most the Cretaceous atmosphere was on average perhaps some ten percent denser than now. But the Cretaceous is a very long period, so its average oxygen content was lower, but still higher than now. High CO2 enabled verdant vegetation, pumping out lots of O2. In some places the oceans might have been too hot for photosynthetic plankton during the middle of the period. 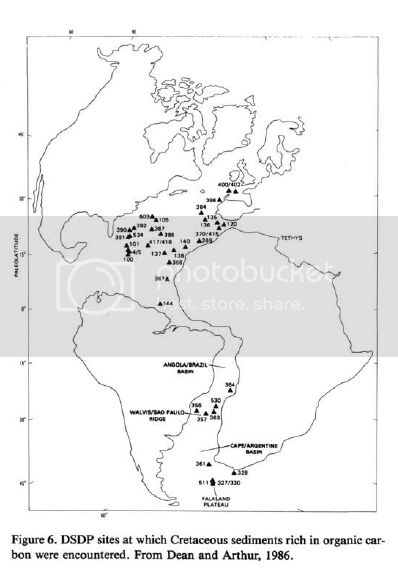 One reason for the Cenozoic drop off down to the present level of 21% may have been the fires which raged around the world in the wake of the Yucatan impact 66 Ma. IMO, giant azhdarchids would have been aided by air 14% enriched in O2, but, as experiments and modeling have shown, could still have flown in the Cenozoic, had they survived the mass extinction event, assuming they could find food. That they could fly is no longer seriously doubted. The issue is to what extent Cretaceous air enabled this feat. They probably hunted on the ground, so couldn’t have escaped T. rex and other big theropod carnivores without being able to fly. Nor could they have colonized Hateg Island without being able to fly there. They could float, but doing so would have left them at the mercy of mosasaurs and sharks. Maybe some pliosaurs as well. It might be more correct to say air enriched by 67% in O2, ie 14/21 percent. He collaborated with Habib on the 2010 aerodynamic and biophysical study. In which case the Cenozoic ice age can be said to have begun in both hemispheres by the Eocene-Oligocene boundary. Unless ice sheets be required, and not just montane glaciers. The presumption is any change is a bad thing, and warming, being change, is bad. Given the history since the last ice age, the warmer periods were rather better than the colder periods. The LIA was associated with famine and plague, so the green blob wants those conditions to punish us for hubris and technology and generally offending Gaia. 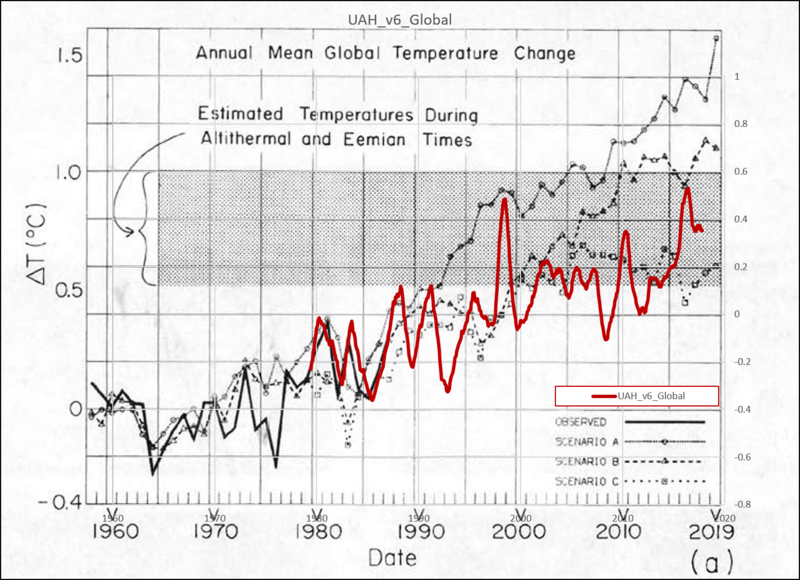 The Altithermal (Holocene Optimum) and Eemian were more than 1.0 degree C warmer than the baseline temperature in 1988, presumably the average for 1951 to 1980. The lies began at the very outset. In other words he dropped out before completing his degree in science. The man is a poet. What do we care about what he has to say? 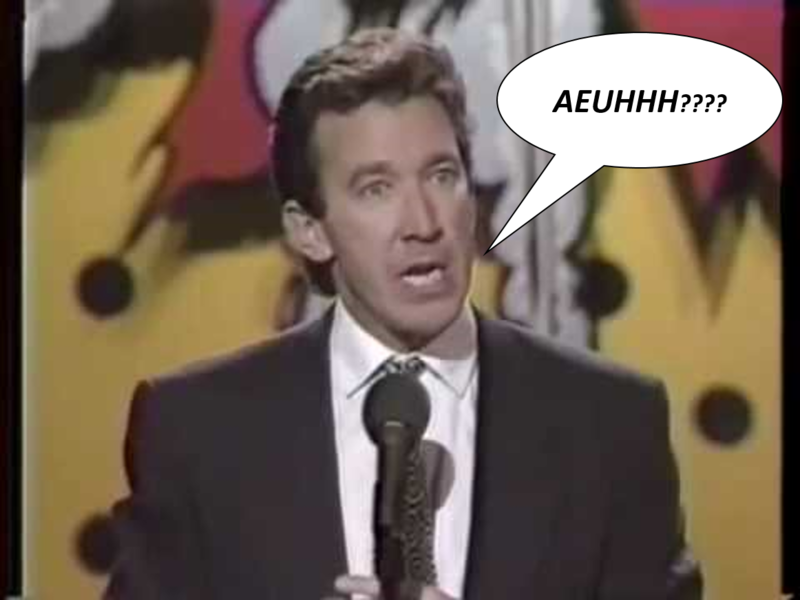 I wonder if he ever found a word that rhymed with Cretaceous? Maybe mendacious? Chutzpataceous… a period within the Goreozoic Era. I noticed that. In other words he’s even less qualified to pontificate than the Pope (an ex-scientist and excommunicator posing as a science communicator). Because, as skeptics, we’ve never been credentialists. Committing that particular genetic fallacy would make us No Better Than Them. I know it’s tempting—especially in a culture where cartoonists get to lecture Richard Lindzens on atmospheric science—to take the credentialist shortcut and laugh Cook off the stage before he can even make his first, inane point. But we’re better than that, aren’t we? Well its not looking very Cretaceous over Russia at the moment. With temps at 0C or below over most of the country. Also here in England in my local area we have just had on the 27th our second earliest snow fall since 1977. So l think its safe to say that the new Cretaceous is been put on hold for the moment. Was this claim part of a bet to see who could come out with the daftest statement. — Oh no. Our grandchildren are going to be dumb! You know what that means, don’t you? More windmills!!! Don’t rubbish this writer he may be onto something. Judging by the quality of what he writes some people ( especially global warming alarmists) have been affected by CO2 impacting on their cognitive function. During the Cretaceous ‘ deep ocean temperatures were as much as 15 to 20C (27 to 36 °F) warmer than today’s ‘ (Wiki). Since 2004 at 1900 m depth the global ocean temperature has risen ~ 0.01C (climate4you) so to get to a 20C rise at the current rate will take another 28,000 years. 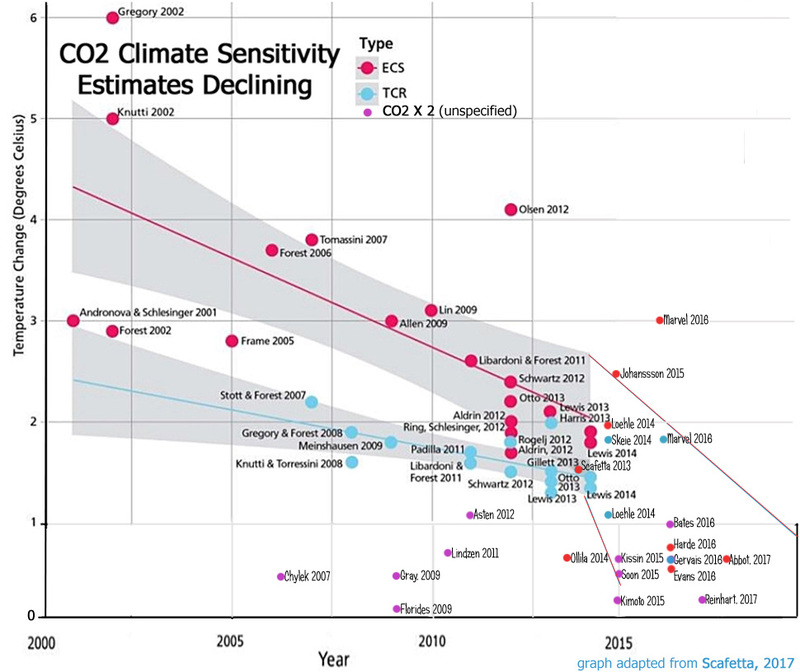 I really like that CO2 Climate Sensitivity Estimates graph. Really shows that the debate is far from settled. This comment is stuck in moderation for some reason. Yes l also believe that the background long term trend is one of cooling. The big clue is the lack of warming in the Arctic during the summer. To have any hope of a new Cretaceous coming to pass. There would have to be warming during the Arctic summer taking place. For a return to Cretaceous conditions, saltwater crocs would have to bask on the shores of the Arctic Ocean. Apparently he is only capable of writing bad fiction. But there are upsides to returning to the Cretaceous. For one thing, all year round sunbathing in the U.K. And think about all the new exciting eating experiences as we get to try out Dino steaks – is that T Rex well done or rare? Could be a few issues not being on the menu yourself of course. And think about going sea fishing and all the exciting creatures you could accidentally find getting cross on the hook end of your line. Exciting or what. On the other hand it is from a Gruaniad contributor who writes poetry. Mussolini apparently wrote plays. Anyone ever read one? T. rex would probably taste OK. As a systematist said once “tastes like chicken” seems to be an synapomorphy of Archosauria (crocodiles+dinosaurs (including birds)). David, could you elaborate on the mechanism that would explain the (very) high bottom temperatures around 90-80 mya if you believe that some extra CO2 in the atmosphere can have anything to do with those temperatures? (see https://agupubs.onlinelibrary.wiley.com/doi/abs/10.1029/2011JC007255 especially figure 9). What interests me even more is why the enormous amount of magma that erupted into the oceans in the period before those high temperatures is not even considered as the most probable reason for them? CO2 is just one factor that affects the average temperature. I don’t see how this would be possible. Sun only increases this temperature ( ~275K) some 15 K to arrive at the average ~290K surface temperatures. Atmosphere then reduces the energy loss to space from ~400 W/m^2 to ~240 W/m^2 (averages), and given the hydrostatic equilibrium against gravity the atmosphere is in, every molecule of the atmosphere must be involved in this process. 0,04% CO2 can be safely neglected. The atmosphere is warmed by the solar heated surface, not the other way around. The thermocline varies with latitude and seasonally in places. Bear in mind that the Cretaceous oceans were shallow relative to today’s oceans. Cretaceous deepwater was considerably shallower than today. Oceanic heat transport was also far more efficient. The primary mechanism of deepwater heating is oceanic circulation. The overall warmth during the Late Cretaceous likely resulted from atmospheric carbon dioxide levels that were 2–5 times higher than modern levels [e.g., Barron and Washington, 1985; Barron et al., 1995; Clarke and Jenkyns, 1999; Retallack, 2002; Royer et al., 2004]. However, oceanic and atmospheric heat transport also may have contributed to elevated polar temperatures [e.g., Barron and Peterson, 1990; Poulsen et al., 2001; Ufnar et al., 2004; Craggs et al., 2012]. In order to constrain the component of heat transport affected by the deep‐ocean, or meridional overturning circulation (MOC), during warm climates we must first reconstruct the overall pattern or operating mode of the overturning circulation. For example, a Late Cretaceous mode of overturning circulation dominated by high‐latitude deep‐water formation could have contributed to warming of the polar regions [Poulsen et al., 2001], because convection at high latitudes would have drawn warm surface waters across the polar front, transporting heat to the southern polar region (analogous to the modern North Atlantic) [e.g., Hay et al., 2005]. While I would disagree that CO2 is the primary reason that the Cretaceous was so warm, it was a factor. When elevated CO2 levels enable the atmosphere to retain more heat, much of it gets transferred into the oceans and oceanic circulation redistributes the heat from warmer to colder waters. Sub-thermocline water was ~10-20 °C in the shallower Jurassic and Cretaceous oceans… about 14 °C cooler than SST’s. The primary mechanism of deepwater heating is oceanic circulation. While in contact with the ocean floor this water warms up slowly. Arctic deep water has to pass the Greenland – Scotland Ridge before sinking and is thus less dense than AABW. The bottom heated water now slowly rises and moves back towards Antarctica where it can finally surface and release the energy it collected at the ocean floor to the atmosphere and space. So the TC is actually cooling the deep oceans. Fits nicely with the Cramer reconstruction I showed. Peak bottom temperatures ~18C. Just as today, whatever heats the mixed surface layer maintains its temperature on average ~15K above the deep ocean temperature. Solar alone is well capabele of causing this temperature increase, provided the atmosphere slows the energy loss to space sufficiently. Submarine volcanism and mountain and plateau building are indeed an oft-cited factor in mid-Cretaceous warmth. I’ve only seen mentioning of the extra CO2 released by these events. In the period leading to the hot deep oceans ~85 mya at least 137 million km^3 magma erupted into the oceans (several LIP’s). Simple calculation shows that 1 million km^3 magma carries enough energy to warm ALL ocean water 1K. These magma eruptions are additional to the continuous warming by the geothermal flux (~100 mW/m^2). The flux can warm the average ocean column 1K every ~5000 year, or “refresh” the total ocean heat content every 1-2 million years. The high bottom temperatures under greenhouse climates is due to where the deep water is created. The deep water is always the densest water in the ocean since this will inevitably sink to the bottom. 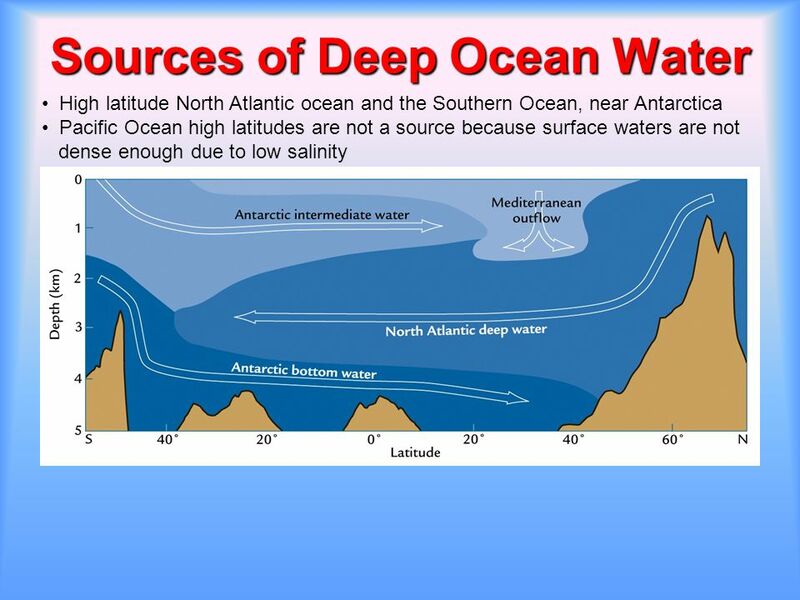 At this time this water is created (1) in the North Atlantic where strong winds cause evaporative cooling (NADW, North Atlantic Deep Water, cold, salty and well oxygenated) and (2) around Antarctica where sea-ice formation produces very cold brine reinforced by evaporative cooling by katabatic winds coming off the icecap (AABW, Antarctic Bottom Water). The shift from warm to cold deep water also happened at the end of the Eocene as Antarctica became isolated and a circumpolar Southern Ocean (and AABW) formed. This time interval was a very important “tipping point” and was accompanied by fairly extensive extinctions, the largest since the end of the Cretaceous (the “Grande Coupure” of Stehlin), in contrast to the much-hyped PETM hyperthermal interval, which actually caused barely any extinctions. NADW came later, probably in the Pliocene. The shift from warm to cold deep water also happened at the end of the Eocene as Antarctica became isolated and a circumpolar Southern Ocean (and AABW) formed. Since the peak temperature ~85 mya the deep oceans have been cooling down, apparently because the warming by geothermal was offset by cooling at (very) high latitudes. To come out of the ever deepening ice age, the world needs another Ontong Java like event heating up the oceans. You can forget about geothermal. It is far too weak to have any global effect though I don’t doubt that e. g. the iOntong Java eruptions affected local ocean circulation. 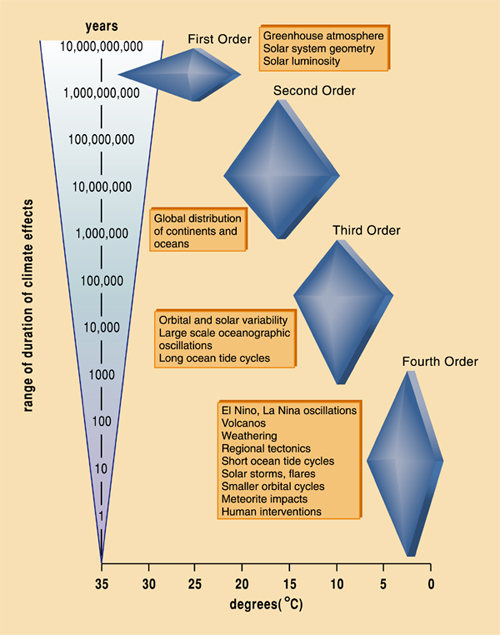 The total area of the Oceans is about 3.6 x 10^14 m^2 (probably a bit more in the Cretaceous, but we can ignore that). The incremental amount of heat is thus 2,7 x 10^12 / 3.6 x 10^14 = 0,75 x 10^-2 = 0,0075 W/square meter, which is less than a 10% increment over the current average geothermal flow through the ocean floor. Locally significant, yes indeed, perhaps even enough to significantly change the circulation pattern in the Pacific, but not nearly enough to materially affect overall ocean temperatures. What you seem to overlook is the fact that energy that enters the oceans at the bottom is entering an (almost) perfectly insulated system. So even small fluxes can have a marked warming effect over time. Solar energy directly warms the upper 5-10 meters of the oceans. Due mixing and conduction the upper 500m or so are warmed during summer. In winter all this stored energy is lost again AT THE SURFACE to the atmosphere. What this does is create an almost impenetrable thermal barrier for water warmed at the ocean floor. Only at (very) high latitudes this barrier is missing. To me it is obvious that the temperature of the deep oceans depends on the warming by geothermal on one side and cooling by sinking cold water on the other. Last ~80 my this balance has on average been slightly negative and the deep oceans have been cooling down. In the period before ~80 mya the balance was apparently positive and the deep oceans warmed up, imo thanks to Ontong Java and a few smaller LIP’s. The amounts of magma that erupted had the potential to increase the temperature of ALL ocean water 100K or more. Actually the temperature increased only 10-15K in that period. You seem to forget that the deep water circulates. Note that the deep sea is oxygenated almost everywhere. This oxygen is consumed by organisms in the deep sea and must be constantly replenished from the atmosphere or at least from the photic zone. On average it takes about a millenium for the deep water to return to the surface. In a thousand years one square meter of the seabottom will produce about 900 kWh of geothermal heat. If we figure the depth of water below the thermocline (your “insulated zone”) to be about 2700 meters those 900 kWh are enough to heat the water by about 0.3 degrees. That is the maximum possible effect. By the way solar energy directly heats the ocean for as deep as sunlight penetrates (the “photic zone”) which is on average about 200 meters deep. You seem to forget that the deep water circulates. Note that the deep sea is oxygenated almost everywhere. This oxygen is consumed by organisms in the deep sea and must be constantly replenished from the atmosphere or at least from the photic zone. The oxygen is provided by the oxygen rich AABW, that is spread around all major ocean basins, except the Arctic ocean. Highly recommended. Around 35 mins the relevant part about AABW starts. If we figure the depth of water below the thermocline (your “insulated zone”) to be about 2700 meters those 900 kWh are enough to heat the water by about 0.3 degrees. That is the maximum possible effect. Aligns nicely with the number I gave earlier: geothermal flux (GF) has the CAPACITY to warm the average column 1K every ~5000 year. Since the peak bottom temperatures ~85 mya the deep oceans have cooled ~18K according the Cramer reconstruction. That is about 1K every 5 million years on average. So the cooling slightly overrules the warming by the GF. In those 85 my the GF has added an amount of energy to the oceans equal to at least 50x the total Ocean Heat Content. Current GF is not capable of warming the oceans against the cooling at high lattitudes. It takes a change in cooling area caused by eg higher solar input at the surface, rearranging of the continents more around the poles, an extended surface ice cover like in a glacial, increased geothermal input from Ontong Java like events etc. Correct, but the bulk of solar energy is thermalized in the upper 5-10 meters. 65% is thermalized in the first meter alone. We at linked in put this down in the late 90’s. (Emailgate/ e Anglea …) the Sky Dragon is still kicking I see. Ah but we do have the IPCC and SR5. I think most of the Climatariat literally don’t understand the concept of resolution… and pretty well everything else related to signal processing. So the different arrangement of the continents had nothing to do with the climate being warmer? Are they telling me that thousands of scientists have been wrong for decades? PS: If the Cretaceous was so much warmer because CO2 was around 1000ppm, why was it so much colder a 100 million years before that, when CO2 levels broke 5000ppm? His talk about the “Anthropocene” is a propaganda tactic to manipulate the responsible parties to fold and accept his fantasy. His lack of factual knowledge regarding the extremely well documented medical effects of CO2 is not surprising from a climate extremist. It fits right in with the culture he is part of. But hacks are as gacks do. It is disappointing to see yet another formerly credible publisher, Yale Press, devolve into yet a another CO2 obsessed fear merchant. A “-cene” is an epoch-scale time period in the Cenozoic Era. Neither the US nor the International Commission on Stratigraphy recognizes an Anthropocene Epoch or any other Anthropo- time period. To borrow an epoch from a hilarious post above, in the Cretinocene the inmates have taken over the institution. Yet the Noosphere can pause like the past decades, but cannot be reversed. Sediments of the Cretinocene Pause include strange rotating blades, hectares of polysilicate. Everyone forgets Apollo 13, the greatest CO2 catastrophe ever, and no-one was lost. Here is the dialog – see page 384 for partial pressure levels. Onboard they were showing symptoms but it looks like 60,000 ppm. Of course NASA has CO2 data. No one was lost because they fixed the problem. You seem to be trying to fit a square peg into a round hole. Which is kind of how they fixed it. Dinosaurs were only as big as they were, due to high CO2. More CO2 = bigger plants = bigger herbivores = bigger carnivores. Ergo, high CO2 is good for both flora and fauna. What is not to like, about high CO2….? It also lowers the O2, reducing fire risk. The big guys were an earlier biosphere experimental model. Just look how many times feathers were given a test run before a flying model. Lawfully our technology (should) have such a direction, but it sure looks like the oligarchy wants to reverse it with “climate” and CO2. There is no road back to dinos, nor to a mythical golden-age equilibrium, nor even to stay forever in the present as “End of History” Fukoyama characterized the EU. Our Noosphere cannot settle, which is why science is never settled. His biography mentions that he’s written poetry, but nothing in his story rhymes. Go figure. All other factors held equal, it would take an atmospheric CO2 concentration of 2,000 to more than 10,000 ppmv to SINK the bulk temperature of the atmosphere by 3-10 °C. in favor of Planetary outgoing heat. However in the real world re-emission almost never happens since the average time a CO2 molecule stays in a metastable state after absorbing a quantum is vastly longer than the time between molecular collisions. Therefore the absorbed energy is almost always thermalized rather than re-emitted.